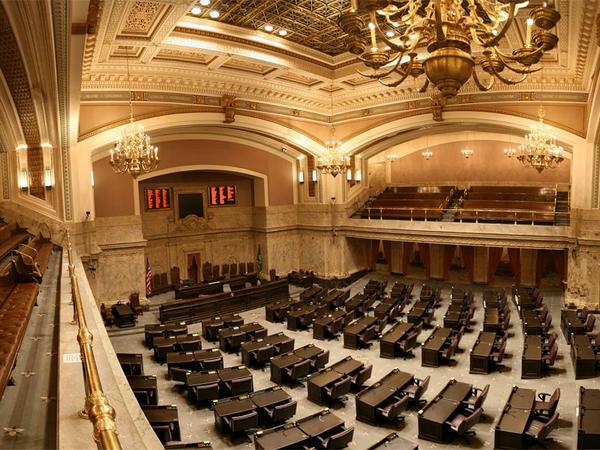 Washington’s minimum wage would rise to $12 per hour by 2017 under a proposal from Democrats in the state House. The measure introduced Thursday would phase-in the $2.68 increase over three years. “A day’s work should produce a living wage," says the bill's prime sponsor, freshman Democrat Jessyn Farrell of Seattle. Governor Jay Inslee quickly praised the proposal as a “commonsense plan.” Republicans say a minimum wage hike is counterproductive and the focus should be on reducing the cost of doing business in Washington. The state currently has the highest minimum wage in the country at $9.32 an hour. Copyright 2017 Northwest News Network. To see more, visit Northwest News Network. The minimum wage goes up Wednesday in 13 states. Idaho isn’t one of them, but some of its neighbors are. Washington and Oregon already have the first and second highest minimum wages in the country at $9.19 and $8.95 respectively. And, effective January 1, the lowest paid workers in Washington must get $9.32 an hour, and $9.10 in Oregon. Rep. Raul Labrador, R-Idaho, said Monday he's against raising the nation’s minimum wage. During a conference call with reporters, Labrador said he understands why those pushing for pay increases for fast food and retail workers are doing so. But he thinks raising minimum wages will hurt workers instead of helping them. Not long ago, you could hear the buzz of power saws all over the Treasure Valley. It was punctuated by the steady rhythm of hammers and nail guns. More than 10,000 homes went up in Ada and Canyon counties in the two years before the recession hit. Then, the sound stopped. “’08 and ’09 were really hard,” says Aaron Wright of Steelhead Construction. He founded the siding and remodeling company as Idaho’s housing boom took hold. At the peak, Wright employed more than 30 people. When the market crashed, he scaled back to three. Bob Lokken, CEO of Boise-based WhiteCloud Analytics, is three years into building his new company. It designs software for health care professionals with the aim of allowing doctors and others to interrogate vast amounts of health care data. Lokken founded it after his previous company, ProClarity Corporation, was bought by Microsoft. Recently, he showed me around the downtown office where software developers work intently behind large computer screens. I wasn’t there to talk about better health outcomes through guided data analysis; I was there to talk about Idaho’s workforce.